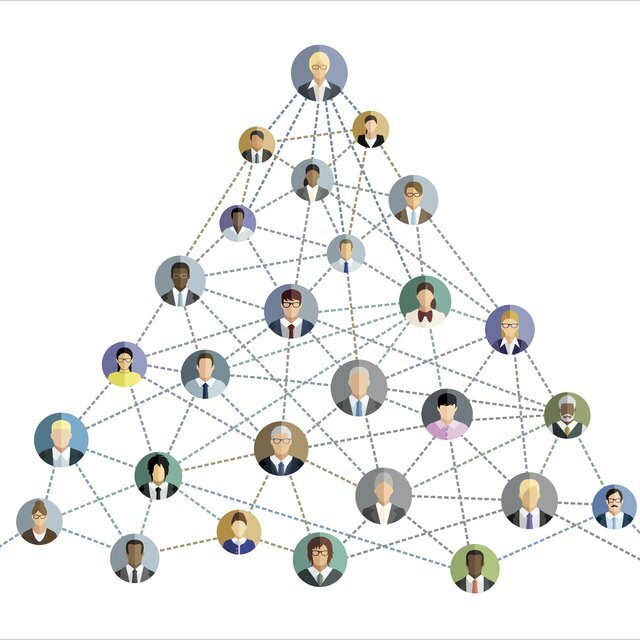 A decentralized management structure is one in which decision-making authority is delegated to the lower level throughout the organization rather than limiting it to a few top executives. Under a strong decentralized organization, the lower level managers and employees have power to make decisions. A decentralized organization shows wider span of control, fewer tiers in the organization and a bottom-to-top flow of ideas and decisions. In a decentralized management system, the top level managers decentralize decision making ability to the lower level, thus relieving themselves from day to day problem solving. This helps them focus on strategy, on high level decisions and on coordinating activities concerning the organization. It also provides opportunities and experience to the lower level managers for making decisions, thus helping them get promoted. In a decentralized management structure, the lower level management can make better decisions then the top level management as they are directly exposed to the local conditions. For example, a regional manager dealing with marketing and selling of products knows about the local culture and needs of the customers better than a top level manager who does not even understand the local language. Businesses must make decisions fast in order to stay competitive. For example, a business unit operating in a foreign country has to decide whether or not to invest in a new technology which its competitors have already adopted. Here, a quick decision is required in order to protect the company from losing its customers in the hands of competitors. A decentralized environment provides flexibility to the lower level management to analyze the situation and make appropriate and timely decisions. What Are the Advantages of a Centralized Structure? In a centralized system, the managers' performance cannot be correctly evaluated as they are not given much latitude. Decentralized management structure gives opportunity to the managers at every level to prove their expertise. They are allowed to make decisions, thus providing them motivation to perform in the organization. Also, the top level management becomes aware about the true potential of the lower level managers and can easy delegate responsibilities on them. Lower level managers may have goals different from the organization. For example, some managers may be more interested in escalating the sizes of their departments then increasing the profits. This problem can be solved by designing performance evaluation system in a decentralized management structure thus motivating managers to make decisions in the best interests of the organization. Reference: What Are the Advantages and Disadvantages of Decentralization? Shilpi Singh has been working as a freelance writer since 2009. Her areas of expertise are environmental studies, carbon emissions, renewable energy, strategic management and organizational behavior. Singh is a chemical engineer with specialization in alcohol technology and a Master of Business Administration in power and energy management.